To address violence against women it is necessary to ensure all interventions are grounded in a human rights and gender transformative approach.8 Pacific Women supports a wide variety of partners to both prevent violence and to respond in a holistic and integrated way to the many needs of women and children who are survivors of physical and sexual violence. In addition, it supports partners in the critical area of improved data collection and analysis on types and prevalence of violence. Prevention of violence requires coordinated efforts at all levels aimed at raising awareness of related issues, changing community norms about violence and increasing women’s status in society.9 Preventing and responding to violence against women is a key element of Pacific Women. The program works with a range of partners to facilitate prevention approaches that engage multiple stakeholder groups. Local partners can most effectively provide analysis of the socio-cultural factors that drive specific forms of violence in local contexts. This helps to identify risk factors and social norms that perpetuate violence, as well as structures that hold these norms in place and influence attitudes and behaviours. Global evidence is finding that working through multiple entry points to change social norms and challenge unequal gender power relations is effective in preventing violence against women. Engaging men and women in prevention initiatives is a way to examine gender power dynamics and promote discussion of social and cultural norms. This is being done by coalitions, faith-based organisations and by rural community groups and is the focus of research and evaluation. In addition, across Pacific Women’s other areas of work on leadership and decision-making, economic empowerment and enhancing agency, the program is striving to strategically strengthen women’s abilities to claim their rights to live free from violence. In none of these countries, is higher education considered to be the only solution to reduce tolerance for violence but is considered to be an important intervention. 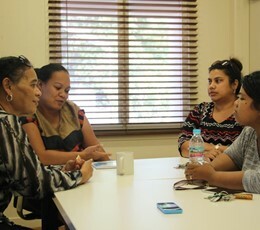 Laws and comprehensive measures that criminalise violence against women and girls must be adopted, reviewed and effectively implemented.12 Pacific Women works in this area to support improved service delivery (including counselling, medical and legal support services to survivors); strengthen the responsiveness of the law and justice system; and enhance preventative measures through advocacy and outreach. Ending violence against women related programing comprises the largest type of work supported by Pacific Women. For more information on Pacific Women-funded activities underway with various partners in this area, visit our interactive map. A list of Domestic Violence Crisis and Counselling Support Services in the Pacific can also be accessed here. Quality counselling is a key service in supporting survivors of violence against women. 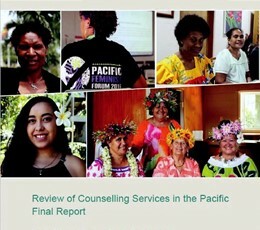 To better understand the status of counselling in the region, Pacific Women conducted a review of counselling services in 14 countries. Ten of the 14 countries mandate the provision of counselling in national legislation against sexual and/or family violence. The Women and Children Crisis Centre in Tonga is implementing a second phase of a Pacific-centred male advocacy training program. As a result of the training, more men are standing up to end violence against women and girls—even when it makes them feel uncomfortable. The Ending Sexual and Gender Based Violence (ESGBV) Policy and 10-year National Action Plan outline the Kiribati Government’s approach to ending violence against women. The ESGBV Taskforce has been established to bring service providers and stakeholders together to coordinate programs and activities. By working together, stakeholders are upscaling violence prevention and service delivery programs and activities to ensure that policy objectives and outcomes are achieved. 1World Health Organisation (2016). Violence Against Women – Intimate Partner and Sexual Violence Against Women- Fact Sheet. 2As quoted in Fiji Women’s Crisis Centre (2013). Somebody’s Life, Everybody’s Business! National Research on Women’s Health and Life Experiences in Fiji (2010/2011), p142. 3World Health Organisation (2016). Violence Against Women – Intimate Partner and Sexual Violence Against Women- Fact Sheet. 4Asian Development Bank (2016) Gender Statistics: The Pacific and Timor Leste. 5UNFPA (2013). A Deeper Silence – The Unheard Experiences of Women with Disabilities – Sexual and Reproductive Health and Violence against Women in Kiribati, Solomon Islands and Tonga. 6International Council on Social Welfare Closing the Gap – making the rights-based approach real for PWDs in the ASEAN region (2010). 7National Study on Domestic Violence Against Women in Tonga (2009). 8International Center for Research on Women (2012), p.7. Violence Against Women in Melanesia and Timor-Leste: Progress made since the 2008 Office of Development Effectiveness report. 9AusAID (2011). Pacific Violence Against Women Agenda: Guidance on Violence Against Women Programming Across the Pacific, Australian Agency for International Development, Canberra. 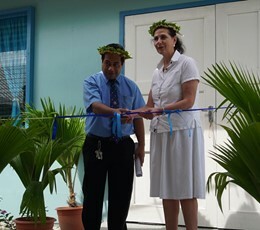 10Fiji Women’s Crisis Centre (2013). Somebody’s Life, Everybody’s Business! National Research on Women’s Health and Life Experiences in Fiji (2010/2011), p.6. 11National Study on Domestic Violence Against Women in Tonga (2009). 12Pacific Community (SPC) (2013) Elimination of Violence Against Women in the Pacific Island – recommendations from the 12th Triennial Conference of Pacific Women and the Fifth Pacific Women’s Ministerial Meeting (Rarotonga, Cook Island 20-25 October, 2013). 14International Center for Research on Women (2012), p.7. Violence Against Women in Melanesia and Timor-Leste: Progress made since the 2008 Office of Development Effectiveness report. 15Cook Islands, Federated States of Micronesia, Fiji, Kiribati, Nauru, Palau, Republic of the Marshall Islands, Samoa, Solomon Islands, Tonga, and Vanuatu have undertaken national violence against women prevalence research based on the survey approach developed by the World Health Organisation.